I had been honored to be awarded with the New Work Grant funded by the New York City Department of Cultural Affairs, Greater New York Arts Development Fund, for our new recording with the QUΔΠTUM Quartet. 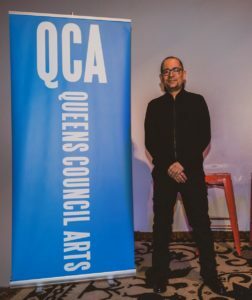 Special thanks to the Queens Council on the Arts. 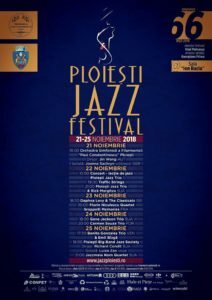 Gene Jackson Trio NuYorx to play at Ploieşti Jazz Festival in Rumania! This time will feature Tomas Baros on bass, and myself on piano. Here a clip from our Smalls Jazz Club Cd Release Party back in April. Gene Jackson Trio Album – New Reviews! 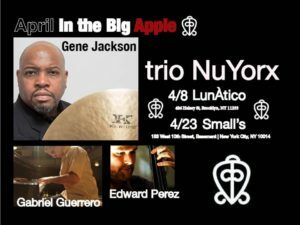 Drummer Gene Jackson has appeared on over one hundred recordings, but Power Of Love with his Trio NuYorx is his remarkable debut as a leader. The rapport of the group gives the listener the impression they can do anything. Each musician brings inspired compositions to the date, which helps change up the character of the music from piece to piece. Drummer Gene Jackson has been best known as a sideman for Herbie Hancock and Wayne Shorter, but his debut is set to change that. 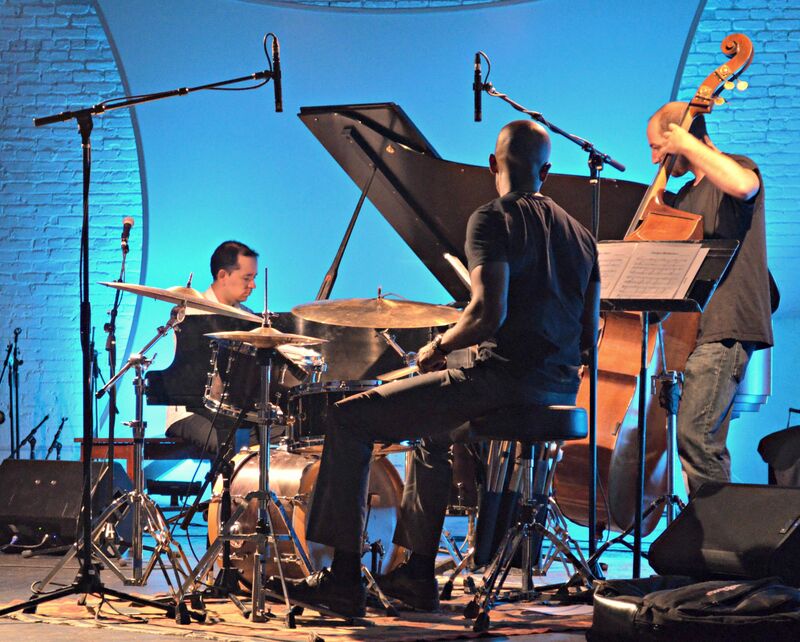 At the helm of his close-knit ensemble, Trio NuYorx (pianist Gabriel Guerrero and bassist Carlo de Rosa), Jackson maneuvers into the foreground with Power Of Love (4723; 65:18; ***1⁄2), 10 tunes of varying rhythmic textures that showcase each member of the trio as both a composer and player. On Jackson’s “Before Then,” he hews as close as possible to an unwavering, fast-as-a-bullet tempo, challenging the others to keep up. Which they do—this ensemble is nothing if not cohesive. Gene Jackson sits firmly in the line of the tradition as it goes forward; with a CV that includes stints with Herbie Hancock, Wayne Shorter and Dave Holland as well as modern arch-traditionalists like Christian McBride and a long tenure holding down the drum chair in the New York Standards Quartet. 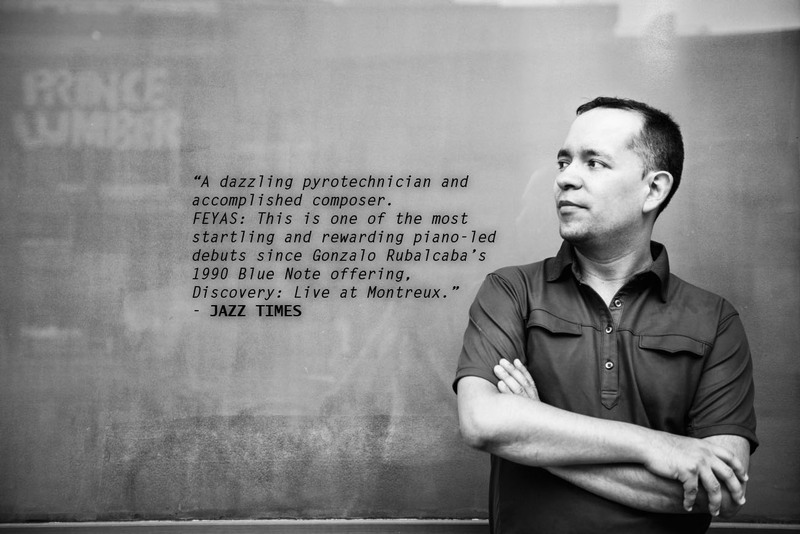 Here he’s presenting his addition to a long line of contemporary explorations of the trio format; kicking things off with the jazz-school favourite ‘I Love You’, the trio are flexible, creative and tasteful – De Rosa demonstrates his dizzying virtuosity, Guerrero is fleet, swinging and unsentimental, and Jackson powerful without being overly domineering. 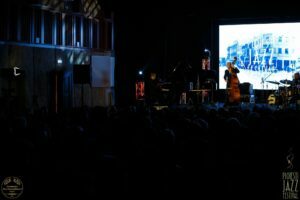 The rest of the programme is made up of originals, with all the band contributing, alongside a couple of infrequently played Monk classics – ‘Ugly Beauty’ taken as a pensive waltz is particularly successful. Jackson’s “Great River’ has a cheerful, eccentric swagger, while his “Before Then’ has an accessible, dancing theme reminiscent of Ahmad Jamal before spinning off into high-velocity swing. Guerrero brings traces of his Colombian heritage in the bass ostinatos of his latin-flavoured composition ‘Lightning’ while the closely arranged rhythmic complexities of ‘Lapso’ recall Chick Corea and ‘Land Of The Free’ moves between tumultuous free-form and a mutated cha-cha-cha. 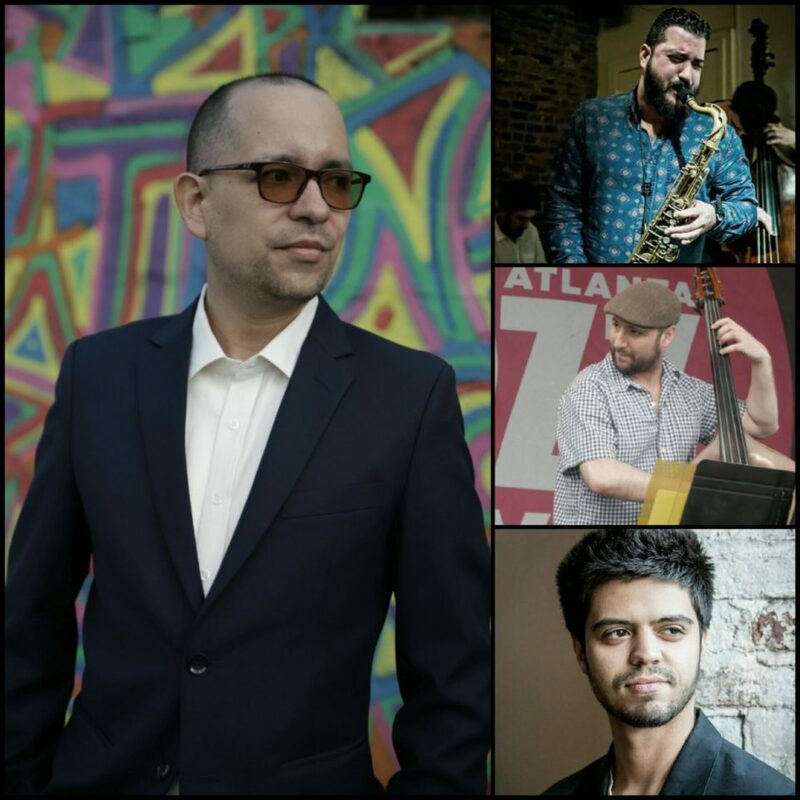 Guerrero has a multitude of voices at his command, capable of executing contemporary swing, latin or free style with equal conviction; his fluent virtuosity is matched by the other players in this outstandingly balanced and accomplished outfit. While there’s no new ground being broken here, you couldn’t ask for a more powerful, considered and sincerely offered summation of the current state of the piano trio. 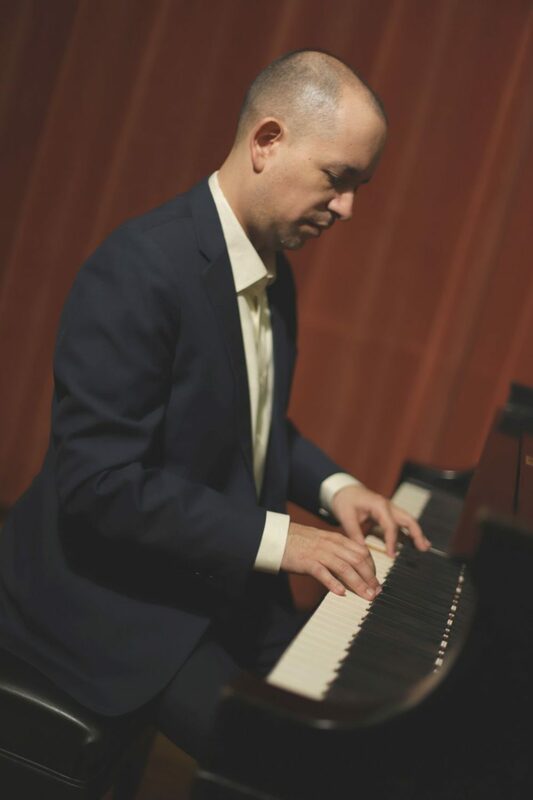 Recorded, like so many classic jazz recordings, in New Jersey – This time in The Tedesco Studios in Paramus, NJ – we could be witnessing the unveiling of another classic. Only time will tell. What is certain is that it’s as good as most piano trios that are currently doing the rounds. A mix of originals by all three plus a couple by Monk (Played Twice and Ugly Beauty) and one by Cole Porter (I Love You) – where would we be without Cole to fall back on! Jackson comes to this, his first album as a leader, with an impressive CV that includes Herbie Hancock, Wayne Shorter, Dave Holland and Kevin Eubanks to mention but a few. Drummers should be seen and not heard doesn’t apply to Jackson – he makes his presence heard forever asserting his role as more than a mere timekeeper. Well, he would, wouldn’t he? – it’s his gig! In all fairness though, his contribution does lift the trio well above cocktail lounge status. Not that there was any chance of them being that. 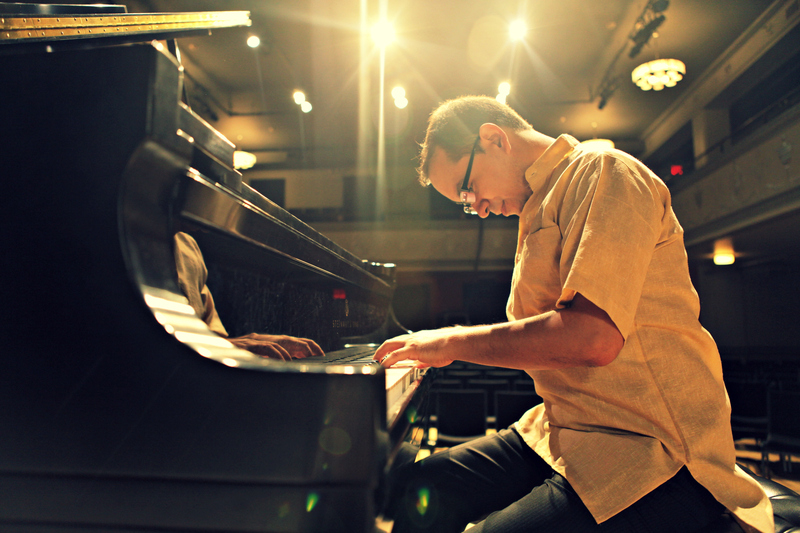 Colombian Guerrero is well schooled in both North American jazz and South American rhythms and harmonies making him the perfect pianist to lay down the compositions, 3 of which are his own (Jackson and De Rosa both have 2) and reflect his love of Afro-Caribbean music. A passion he shares with Jackson. De Rosa could be described as ‘the bassman’s bassman’ such is his command of the instrument and the endless flow of ideas he unleashes in his solos. Talking about bassmen, Michael Janisch has once again picked a winner for his Whirlwind label. Whether featuring UK musicians or using his inside knowledge of the New York scene Michael rarely picks an also-ran. Highly recommended for those who want something more than the traditional piano, bass and drums trio without totally losing the plot. Listening to the opening number, Cole Porter’s “I Love You” might give the impression that this is an album of standards but that’s far from what’s on offer. 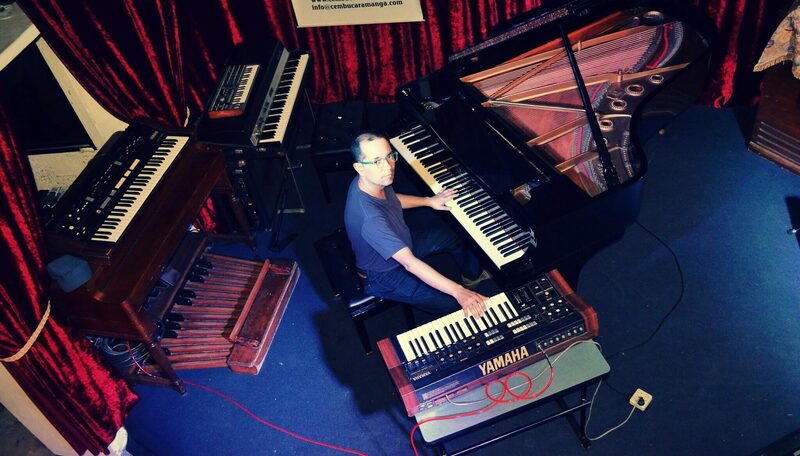 Carlo De Rosa’s luscious, deep bass is a particular standout here. “Great River,” one of two Jackson-penned numbers, is a jaunty, angular piece with an eccentric dragged beat. 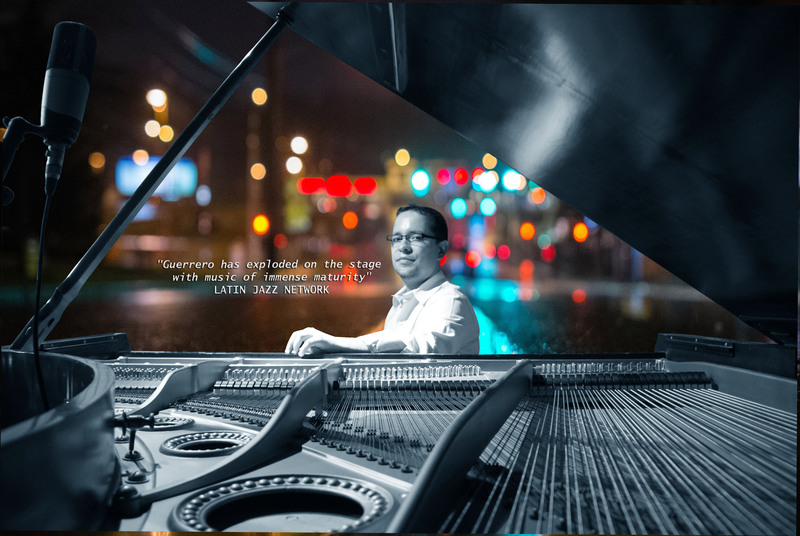 The only other non-originals are two Thelonius Monk tunes, the upbeat “Played Twice” and the more conventional ballad “Ugly Beauty,” which spotlights pianist Gabriel Guerrero, whose playing is both assured and sensitive throughout the album. Following a sombre opening with thunderous drums and arco bass, Guerrero’s “Land Of The Free” breaks down into a much looser arrangement, but holds together cohesively before reverting to the opening head. For “Power of Love”, his first lead album, drummer Gene Jackson chooses the format of the trio. With the trio NuYorx composed of the pianist Gabriel Guerrero and the double bass player Carlo De Rosa it records a captivating opus. Gene Jackson drummer and cymbalThe career of drummer Gene Jackson is exemplary. This respected rhythmist began playing with guitarist Kevin Eubanks, then, in the late ’80s, he shot and recorded with the greats. 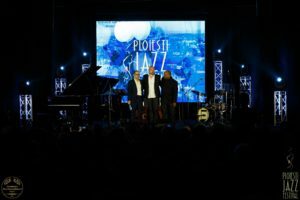 He has been the mainstay of groups led by Herbie Hancock, Wayne Shorter and Dave Holland, not to mention collaborations with other big names in jazz including Art Farmer, Christian McBride, Dianne Reeves, Joe Lovano and Hugh Masekela, but also the New York Standards Quartet. Born in Philadelphia but based in Tokyo, Gene Jackson, a rhythms maker, was particularly fond of trio play with Herbie Hancock and Dave Holland. This is undoubtedly related to the group format, the trio, which he chose to record his first opus in leader, Cover of “Power of Love” by Gene Jackson “Power of Love” (Whirlwind) released on April 06, 2018 . 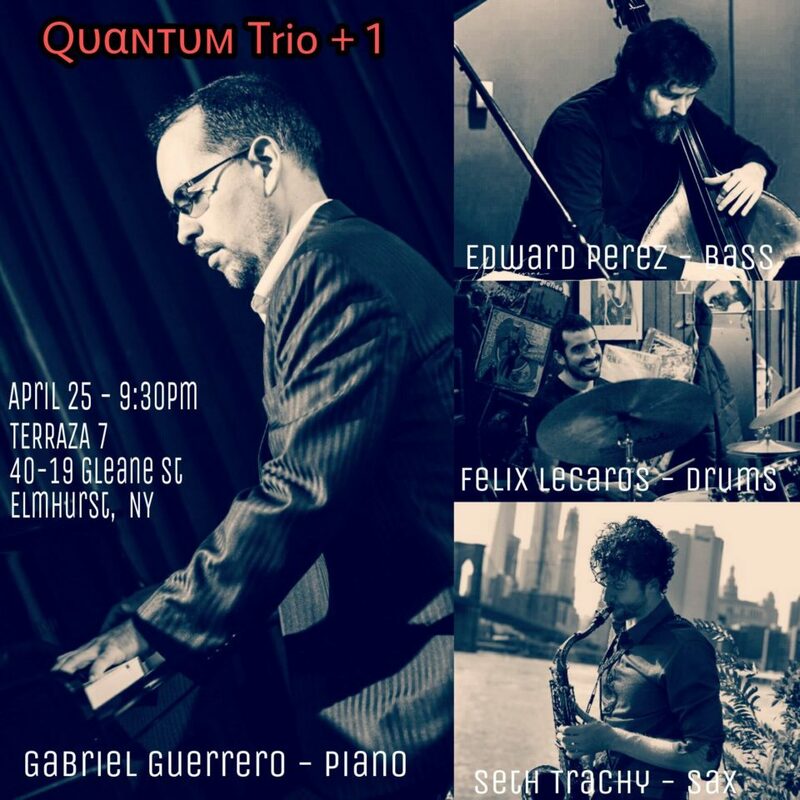 Associated with pianist Gabriel Guerrero and contrabassist Carlo De Rosa , two musicians who inspired him, he formed the Trio NuYorx . 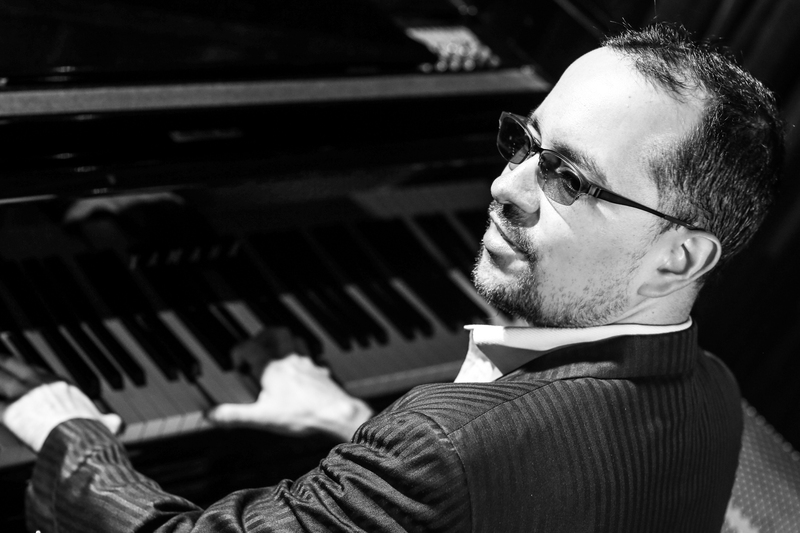 By his Colombian origins and his Latin approach of jazz, the pianist responds completely to the love that the drummer maintains with Afro-Caribbean rhythms. In addition to the original compositions of the members of the group, “Power of Love” has three times. The trio features a delicate and balanced version of Cole Porter’s I Love You , written in 1944. On a fast tempo supported by a low rhythmic / robust drums, the fluid playing of the piano disrupts the theme but generates an incredible lyricism. The polyrhythmic accompaniment of the drummer impels a false waltz tempo without managing to unbalance the aesthetics of this superb version. The muscular drummer’s play supports the piano’s glow on Before Then , another composition by Gene Jackson, that the dynamic double bass makes breathe. 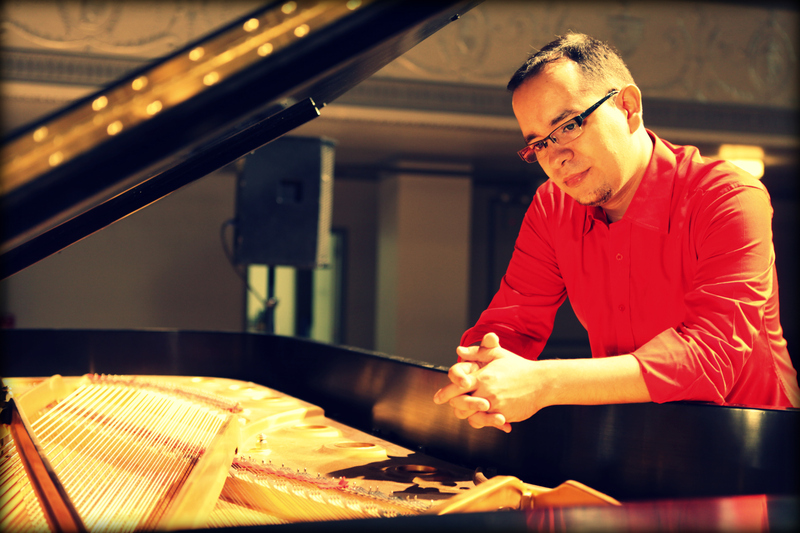 The tender ballad A Peaceful Tremor by Carlo De Rosa evokes a delicate musical dream that illuminates the album. The other theme of the bassist, the lively Neptune with an incomparable swing , is the same delicacy . 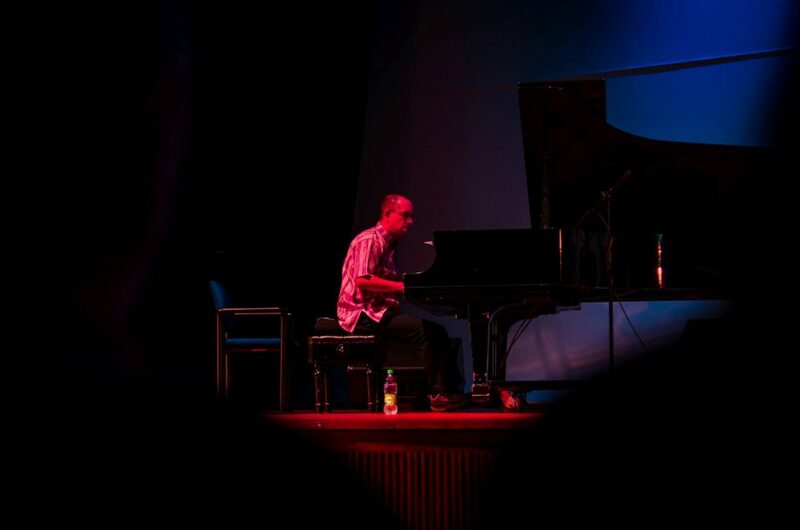 Three compositions by the pianist attract attention. The free musical climate of Land of the free allows the very interactive trio to brush landscapes rich in abstraction. The drums dotted Latin rhythms found on Lighting . This playful bossa highlights the flamboyant playing of the piano. On the joyful variations of Lapso , the twilight play of the piano stimulates the drums that ignite the tempo. The African illustration of the cover of the album affirms the essential place that this culture represents for Gene Jackson ; The rhythm lives on the album and affirms how much the tension / relaxation couple still remains at the heart of jazz. The drummer defines the music of “Power of Love” as a symbolic contribution to what seems to him essential, “the power of love [as] remedy to help humanity make good decisions” . 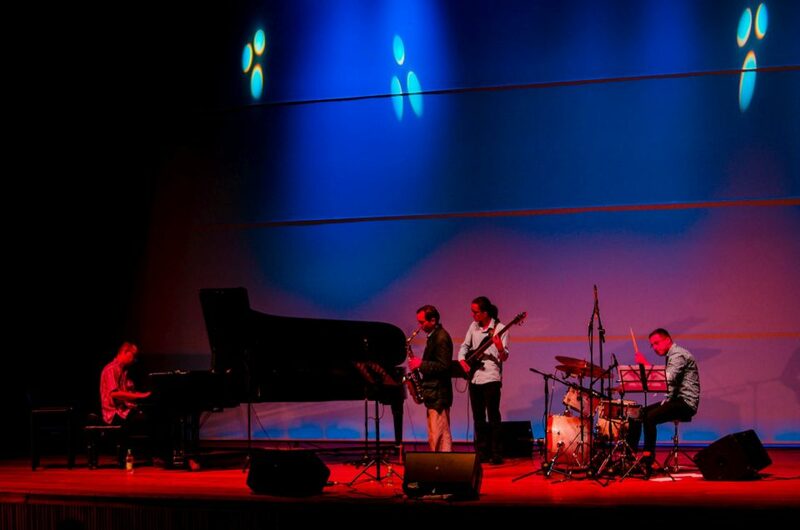 with my Quartet featuring Colombian sax man Miguel Angel Lous. Additionally I taught some clinics in Armenia, and Bogota. I would like to thank all the people who came and hope to see you soon! Clases Privadas en Bogotá, COLOMBIA Mayo 4 – Junio 3, 2018.